Back in January, we learnt that the Android iteration of Super Mario Run (Free) would finally launch after just over three months of iOS exclusivity this March. However, Spring is now upon us, and there has been no sight of any version of Mario’s mobile debut on the Google Play store as of yet. However, this weekend we finally got a final date for the game’s release, as Super Mario Run is set to drop on Android this Thursday on March 23rd. Furthermore, this date would also mark the release of the 2.0 update for the iOS version of Nintendo’s runaway success, with new playable characters to unlock, and World 1-4 playable in the free portion of the demo. While few specific details on what this update entails have been released thus far, Nintendo have given a preview of some of the unlockable characters on the Japanese Twitter account. 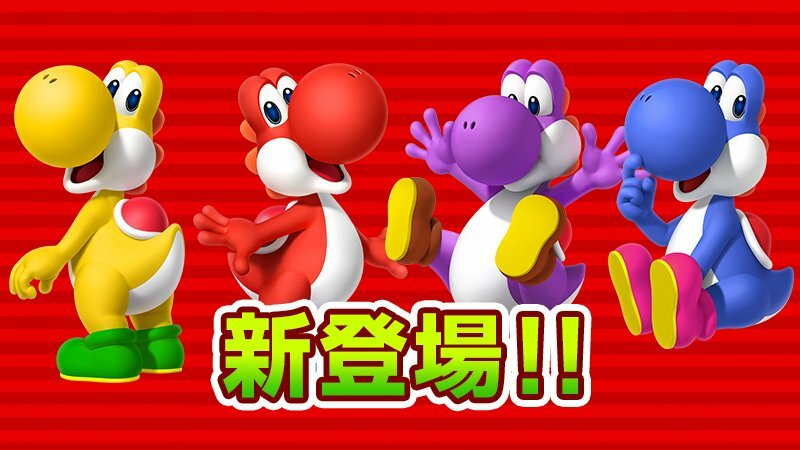 Four colored Yoshis will be playable, with each color (yellow, red, purple and blue) making the Toad of the same color appear more frequently as a result. While this isn’t as satisfying as a brand new character, it will definitely make collecting the Toads required to unlock cast members such as Toadette somewhat less infuriating. Hopefully some other famous and beloved Mario series stars such as Rosalina eventually make an appearance, rather than more reskins (looking at you, Pink Gold Peach). Head down to our forum thread for more details regarding the 2.0 update, and keep an eye on the Google Play store on March 23rd for a chance to play Super Mario Run on your Android device.